Fans of the animated series Ben 10 will be pleased to know that two classic Ben 10 game are now available for download in the PSP store. 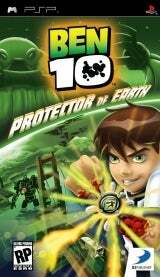 Ben 10: Protector of Earth and BEN 10 ALIEN FORCE The Game can both be downloaded. Protector of Earth costs $14.99 to download, and ALIEN FORCE The Game is available for $19.99.